ALMOST A YEAR AGO WE BEGAN THE LONG JOURNEY OF OPENING A STOREFRONT FOR PLANTED ROCKS IN COCHRANE, AB! OUR STOREFRONT IS CALLED THE PLANT PLACE! WE ENVISIONED A PLACE FILLED WITH PLANTS, SO MANY PLANTS (CAN YOU EVER HAVE TOO MANY…REALLY?!) 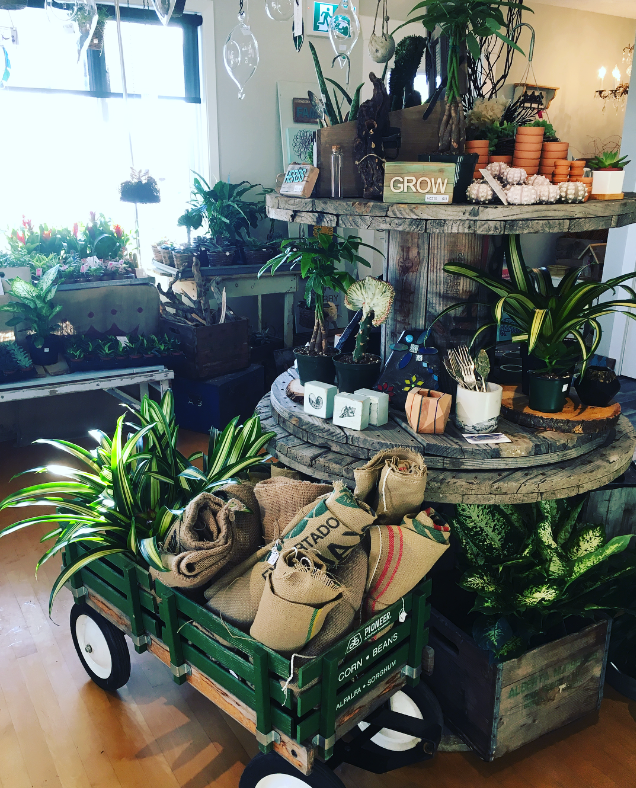 - AND OF COURSE ALL THOSE THINGS THAT GO WITH YOUR BEAUTIFUL INDOOR PLANTS WE ALL LOVE (POTS / GLASS VASES / SOIL / TERRARIUM SUPPLIES / PLANTING SUPPLIES / … THE LIST GOES ON)! AND BECAUSE NOT ALL PEOPLE ARE AS OBSESSED WITH PLANTS LIKE WE ARE - WE WILL ALSO BE STOCKING OUR BEAUTIFUL STORE WITH THE MOST AMAZING HAND MADE ITEMS MADE BY LOCAL ARTISANS !! HAND MADE PRODUCTS - THE PERFECT GIFT ITEMS - AND PLANTS ! HOW CAN IT EVEN GET MUCH BETTER THEN THAT!! SUBSCRIBE WITH YOUR EMAIL AT THE BOTTOM OF THE PAGE TO GET THE MOST UP TO DATE INFO AND TO BE ADDED TO OUR NEWSLETTER! !